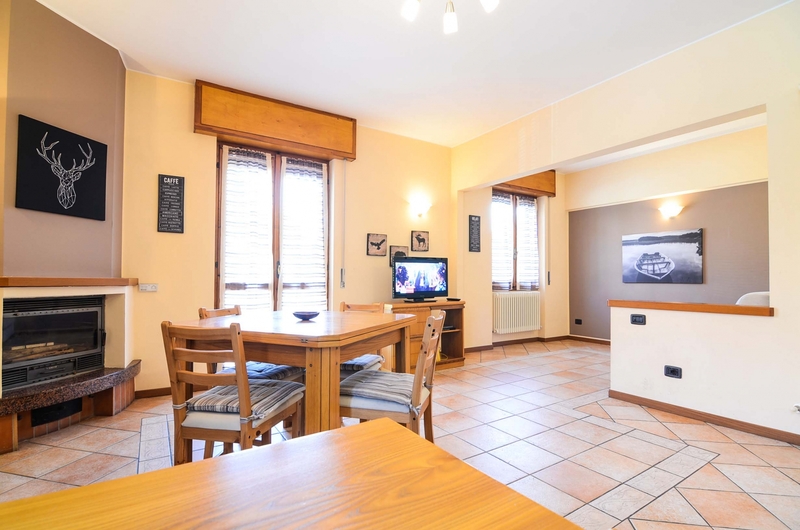 Ideally located just outside the centre of Bellagio, this apartment is the perfect solution for families or groups who are looking to stay close to all the shops but outside the crowd centre. The apartment is split in 2 levels and very bright. Entrance at the first floor in living area with TV, fireplace, fully equipped kitchen, double sofa bed. Then a large bedroom with queen size bed, wardrobe, bathroom with wc, bidet, sink, mirror, shower, bathtube and washing machine. At the first floor, spacious bedroom with queen size bed, a single bedroom and the second bathroom with wc, bidet, sink, mirror and shower. Lake view from the balcony at the first floor and through the windows at the top floor! Free wi fi is provided. Bedlines, towels, courtesy set and final cleaning are included.